Earn 50 SP in Delegation for 4 weeks by learning more about STEEM. Are you finding it hard to get your head around STEEM? It took me a long time to understand how STEEM worked. With SBD, STEEM, Voting Mana, Resource Credits, there is just so much to take in for a newbie. 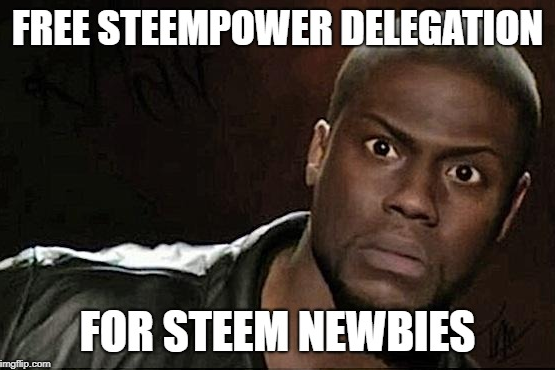 That, coupled with the RC problem new accounts have, I thought it would be benificial to give free delegation to new accounts that have the hunger and want to learn more about STEEM. *Partiko is a STEEM based mobile app that allows direct messaging between users. This course is a non scammy, non get rick quick, factual resource to fast track what you need to understand about the financial workings of STEEM. With this course you can learn in an hour what took me months to understand. - STEEM and its role in the blockchain. In addition to this you will learn how to use tools like the internal exchange, resource credit checkers, voting mana simulators and much more. At these levels 50 SP in delegation will give you around 10 comments a day, or 100 votes a day or 18 transfers. I was hoping this section of the post would be a little curation of posts from those that have taken the course and received delegation. From last weeks post we had NO new delegatee. This is really disappointing to see considering 10 people did enrol in the course. Lets see if we have better luck this week. Come over and check this out. Mmaybe I can find time during the daytime 2 maro to do this. I will be waiting on another load to be ready, then i will be rollin for a few days to get it done. I hope many tak advantage of this as the ability to actively engage and comment will give a great opportunity to earn their first amounts of Steem and SBD to grow! Great initiative to help the newbies. I'm not so newbie, I started my account in april 2018, so technically it is less than a year old. Can I participate? I'm equally surprised not to see new users grabbing this delegation every week. Maybe it is also a problem of awareness? Well, I have resteemed this post. I have a ton of newbies following me lately, lets hope they get to see this opportunity. Hey, ol' buddy! Haven't seen you around in a while. How are you? I'm doing quite well, thank you. I hope lots more people will do the course. Steem takes time to learn and I still don't know it all. Exactly how I feel. At this stage the amount if info it overwhelming. It's a great course. If I had this when I started it would have taken months off my learning curve. Why did I not know about this course before? I am not eligible to enter but I believe the things you teach in the videos will be super useful, so thanks for sharing! Ouups! I was surprised at first but yeah your account is over a year old. Sorry about this. Nah it is okay, I've got more than enough from you to give me a head-start. I registered in 2017 but I did not really get the hang of the platform back then. I am glad I gave it another shot. If you ever run out of the ability to delegate let me know and I'll be happy to delegate 50 SP to 1 minnow every 4 weeks. Yeah I've been randomly seeing messages in discord and saw that you were having trouble finding people. Honestly, don't know if it would help, but I would do 100 SP if it means someone would actually participate! Maybe I'll just start doing some digging and see if I can find some minnows to send your way. Maybe they don't meet the qualifications, but at least it gives them something to start working towards. Hey @paulag, I just completed the course. Unfortunately I couldn’t find the private message link in partiko ios (not yet implemented?). okay no problems, what is your udemy account name? Just sent you a message on udemy. Your UA account score is currently 7.007 which ranks you at #89 across all Steem accounts. In our last Algorithmic Curation Round, consisting of 201 contributions, your post is ranked at #13. This is super cool too, as I look to find newbies to support. I'd like to add that I've tried using Partiko many many times on my phone and it sits and spins won't work, I went to discord no help? So if you wish to have folks send info to you, perhaps not everyone's phone works with that app. I really love your initiative, @paulag.